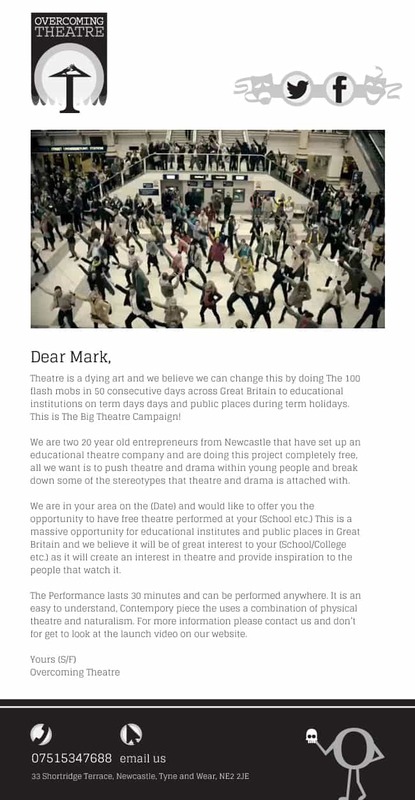 Overcoming Theatre approached Newcastle marketing agency Urban River with the remit of making theatre exciting to young people. 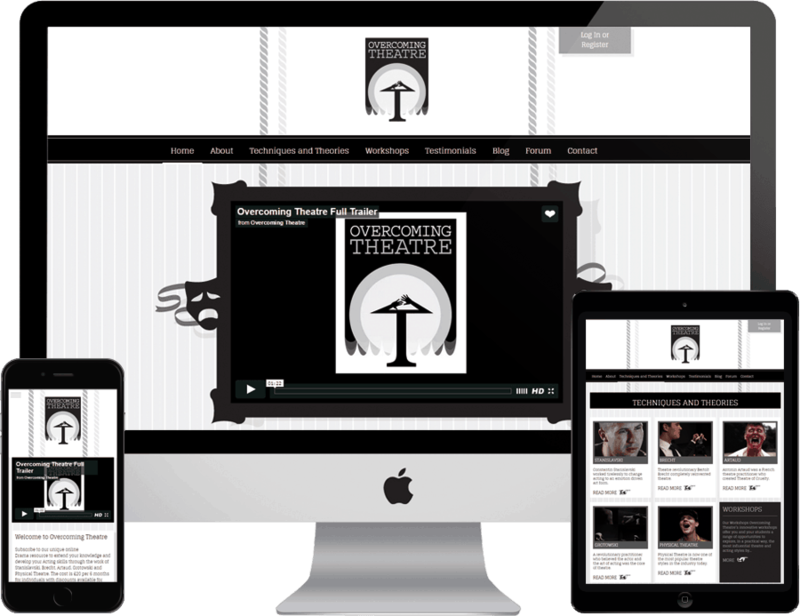 Specialising in using traditional acting techniques to overcome confidence whilst providing educational support and resources online is what they are about. We were challenged with creating an identity and digital resources to deliver their content to a subscribing user base. The overall brand needed to be different, something visually interesting and easily recognisable. The style and colours used gave a darker edge, but one which would lend itself online. We set about developing a WordPress solution to provide a site which was simple to manage, whilst allowing us to create and integrate the elements of bespoke functionality. The site was base around delivering a range of video based online content accessible through a secure paid for subscription service. The site also incorporated a blog commentary and forum to encourage user participation and interaction. 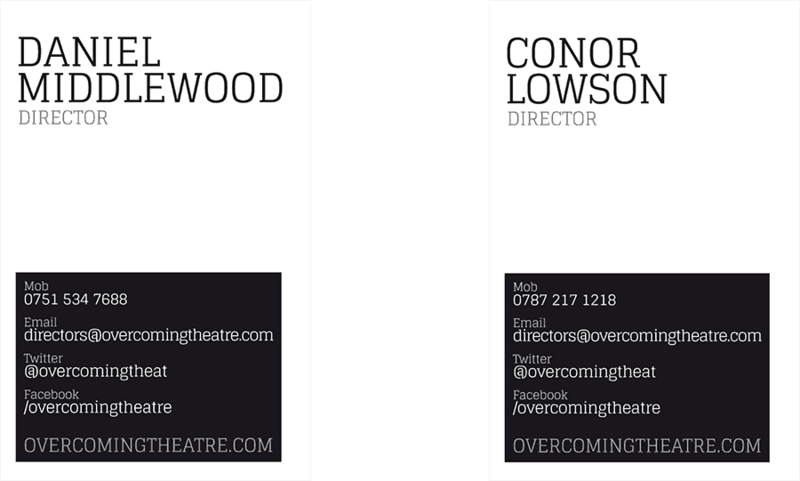 Following the initial launch event, theatrical of course, Overcoming Theatre has gone on to great things delivering workshops to a range of organisations and developing a paid for user base. Social mediaTwitter and Facebooks feeds automatically pulled into homepage. VideoTrailer included to engage visitors and drive traffic to website. TestimonialsPage dedicated to testimonials included to enhance Overcoming Theatre's credibility. 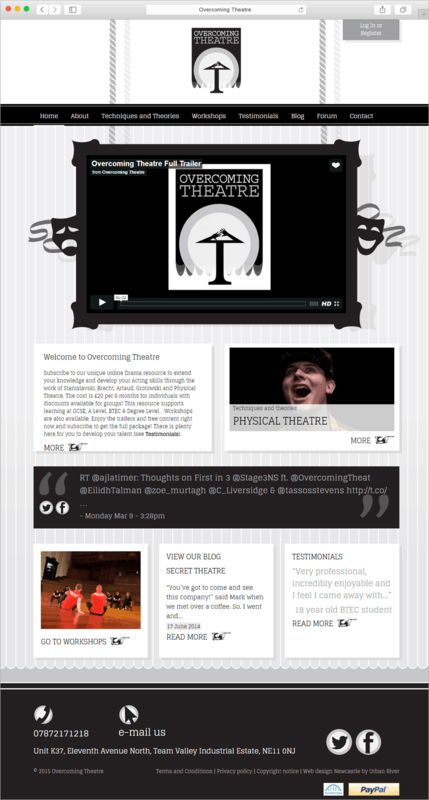 Overcoming Theatre are delighted with their “professional-looking” website and brand. 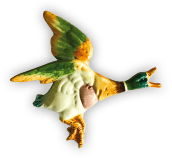 Upon our asking them for feedback on how they felt though project went, Overcoming Theatre were particularly complimentary about the quality of our work, our professionalism and our customer service.